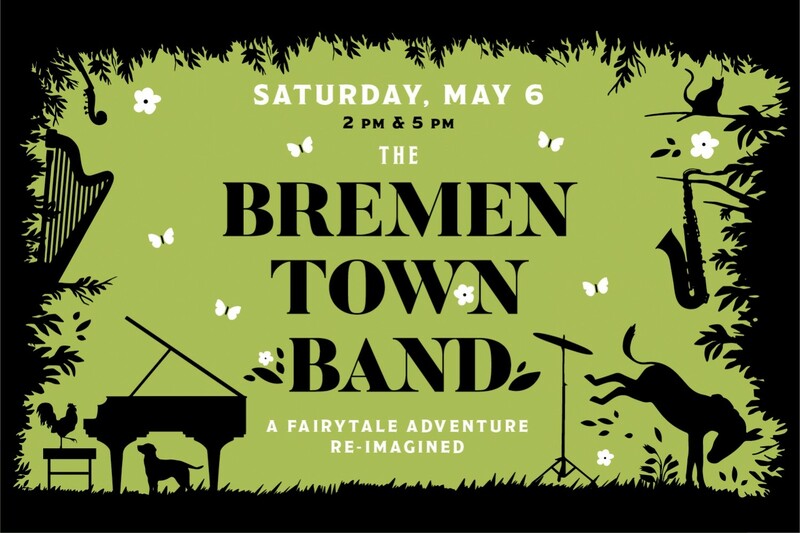 Seeking to escape their tiresome days on the farm as beasts of burden, four spirited animals – a donkey, a dog, a cat, and a rooster – set out on an adventure to realize their dreams and fill their lives with music. This Miller Theatre commission, an inspired spin on a classic Grimm fairytale, features imaginative silhouette puppetry by director and designer Lake Simons (Carnival of the Animals). Equally at home with jazz and classical styles, Courtney Bryan has penned an original score, which will be performed live by an all-star quintet of jazz musicians. Tickets: $15 - $40 for adults, $9 - $24 for children. Recommended for ages 6 and up. Children under 12 must be accompanied by an adult. Each person, regardless of age, must have a ticket to be admitted. This production is supported by a Family Grant from The Jim Henson Foundation.